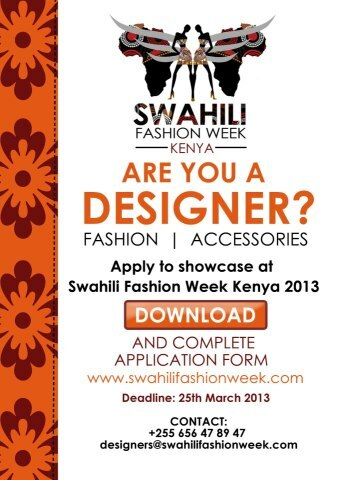 Are you an East African Designer and you want to showcase at the Swahili Fashion Week Kenya 2013, which is to be held in Nairobi? Then this is your chance.. Fill out the Application form at the Swahili Fashion Week Official Website which is www.swahilifashionweek.com before time runs out. Deadline is 25th March 2013.